On July 19, 1861—two days before the Civil War’s First Battle of Manassas—Union General Irwin McDowell dispatched John G. Barnard, his chief engineer, to identify a suitable place for thousands of Federal soldiers, horses, and artillery to cross Bull Run Creek undetected. Barnard found such a crossing at Sudley Ford, well upstream of the Confederate defensive positions protecting Virginia’s Manassas Junction, a vital rail link and the objective of McDowell’s offensive. Two days later, McDowell ordered two divisions (roughly 13,000 troops) to cross at Sudley Ford, the move that kicked off the Civil War’s first major engagement. 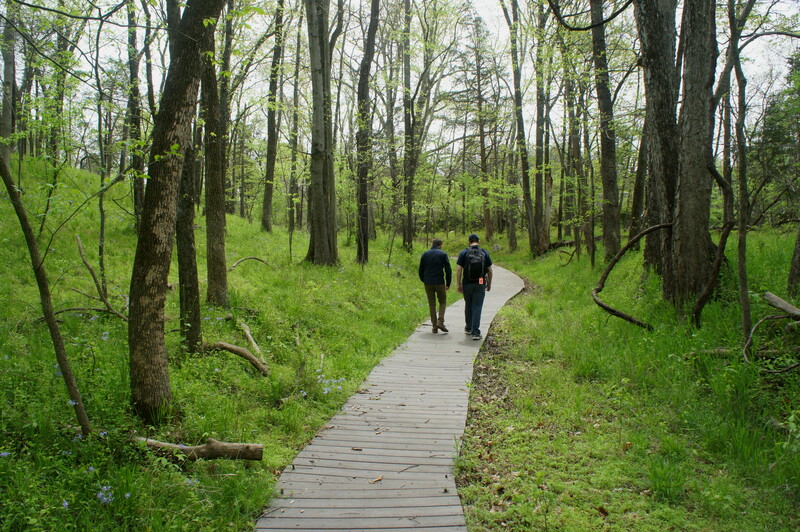 Just off Sudley Road, the trailhead for this hike is situated in the extreme north of Manassas National Battlefield Park. Coming from the south, look for a small parking area on the left, just before the Sudley United Methodist Church. (Note: Fortunately, the Sudley Loop Trail is not popular because the parking area has only three spaces.) 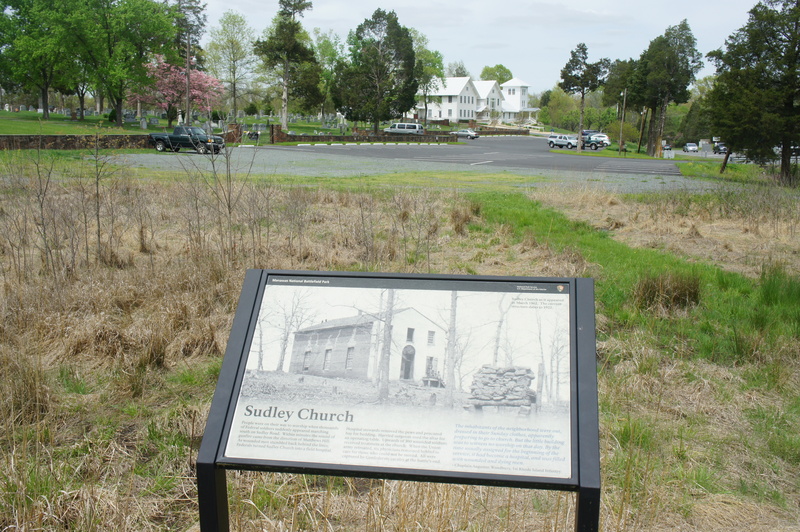 An interpretive panel at the site discusses the role of Sudley Church in the battle. The trail begins across Sudley Road to the east. (Note: Use caution in crossing the road, where cars zip by at 50+ miles per hour.) Immediately, the path darts into the forest, following an elevated railroad bed that was unfinished at the start of the war; the lengthy ditch to the right was constructed to keep water from flooding the tracks. 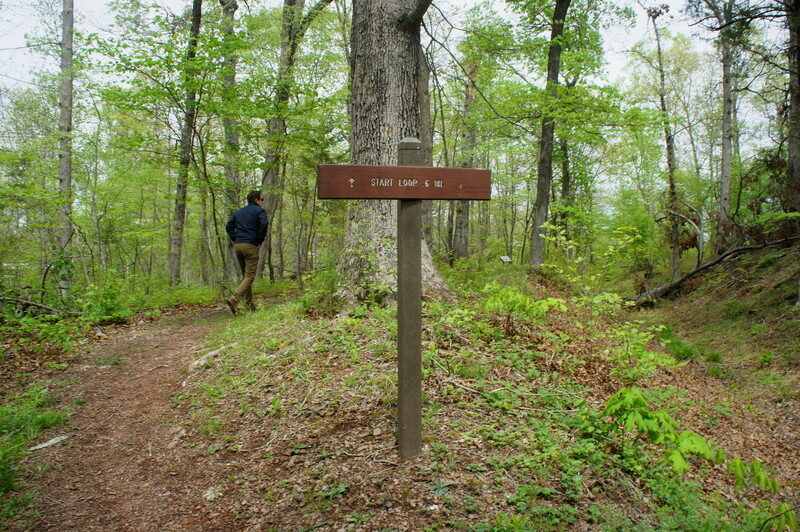 At around the 100-yard mark, the trail forks; stay right, following the sign reading “START LOOP 0.6 MI.” (Note: The trail to the left will be your return trip.) Off to the left, bits remain of the foundation of Christian Hill, once the home to Amos and Margaret Benson, who stumbled upon a wounded Union soldier and nursed him back to health following the battle. 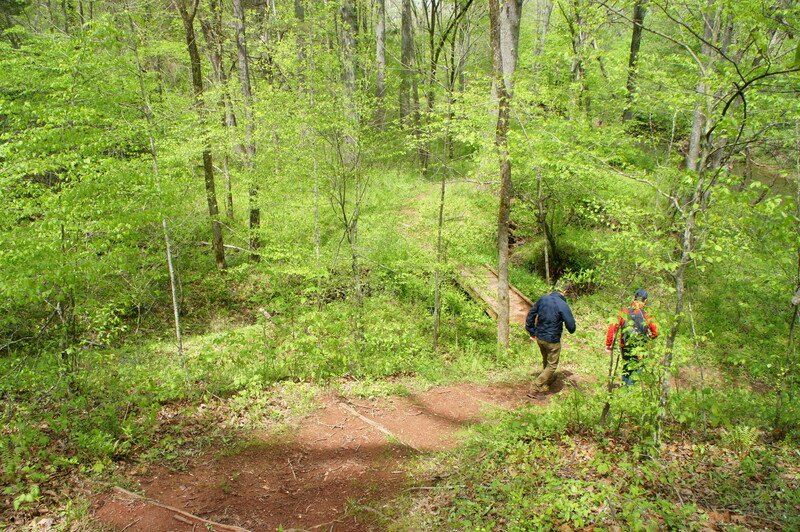 In another 100 yards, the Sudley Loop Trail approaches an overlook of Bull Run, now obscured by trees. At this point, the trail bears left and drops steeply to cross a minor stream at around 0.15 miles. Off to the right is a short access trail to Bull Run, bounded by a rocky bluff on the west bank. Continuing down the trail, the terrain levels out and weaves amid the trees until briefly emerging onto the lawn of the Thornberry House at ¼ mile. 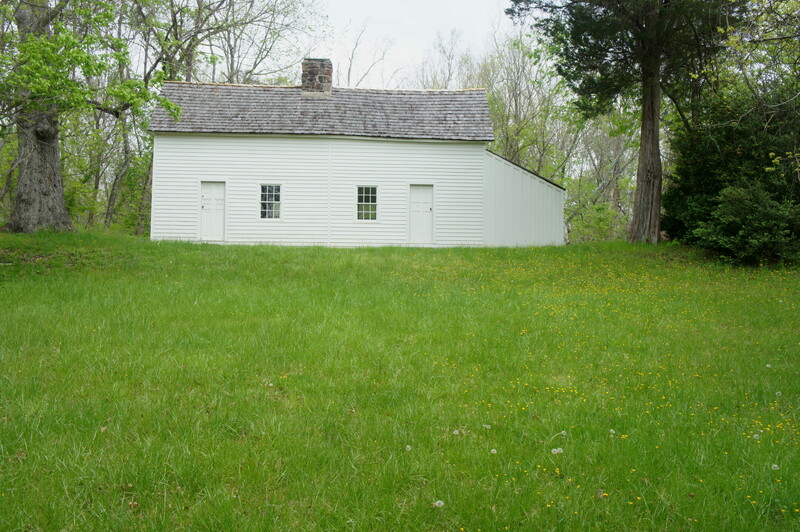 This site, once a private home, is one of only three remaining Civil War-era structures in the park; during the battle, it was overrun by wounded Union soldiers who used the house to recuperate. Stay on the trail as it darts right to the banks of Bull Run. 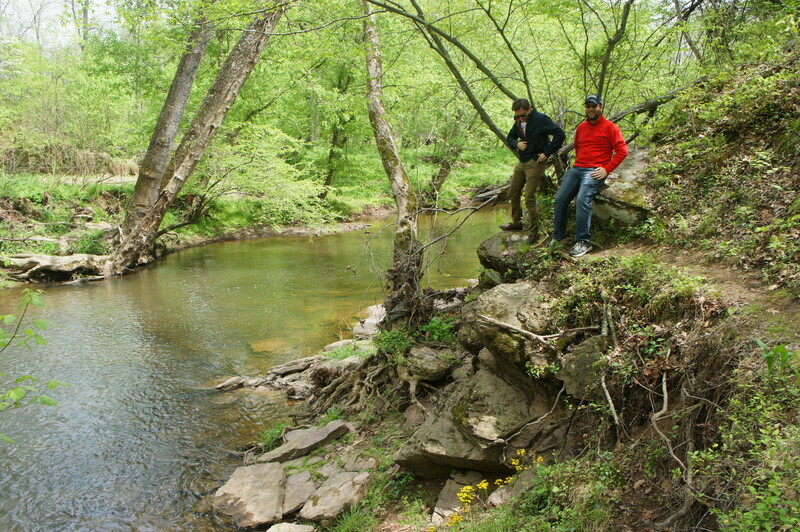 At 0.3 miles, one can see the confluence of Bull Run and Catharpin Run, or “Little Bull Run,” on the right. 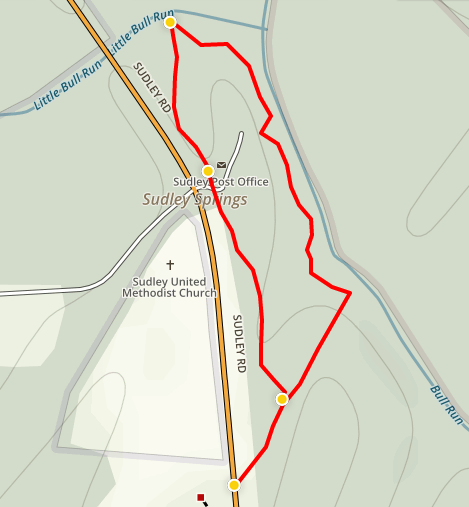 Leaving Bull Run behind (Sudley Ford is upstream from here but on private land), the trail follows Catharpin Run upstream to Sudley Springs Ford. Shortly after crossing Bull Run, more than 13,000 Union soldiers traversed this ford on the morning of July 21, 1861 en route to battle. The travel was slow and tedious, especially for a force composed mainly of young and inexperienced soldiers. In fact, the march from Centreville, Virginia to the crossing of Bull Run took so long that it ruined McDowell’s element of surprise. At around 7:30 am, Col. Nathan G. Evans’ 7th Brigade—Confederate forces positioned at the Stone Bridge to the south—detected the movement and began to move troops to meet the advancing Unionists. The slow movement of Union troops—combined with Evans’ resistance at Matthews Hill—was sufficient to allow additional Confederate reinforcements to arrive, a critical juncture that eventually led to a Southern victory in the afternoon. Beyond the ford, the trail heads south on a plywood boardwalk, then approaches the Thornberry House again, this time from the west side. Just beyond, the trail abuts Sudley Road, and a wayside provides a brief snapshot of the sleepy town of Sudley Springs, which awoke to the sounds of thousands of Federal forces marching to battle on July 21. From here, the trail continues a gradual ascent back toward the trailhead, briefly dipping to crossing a small ravine at around 0.55 miles. Seconds later, hikers will return to the initial trail junction. Bear right, following the singletrack back to Sudley Road, and the parking lot beyond. 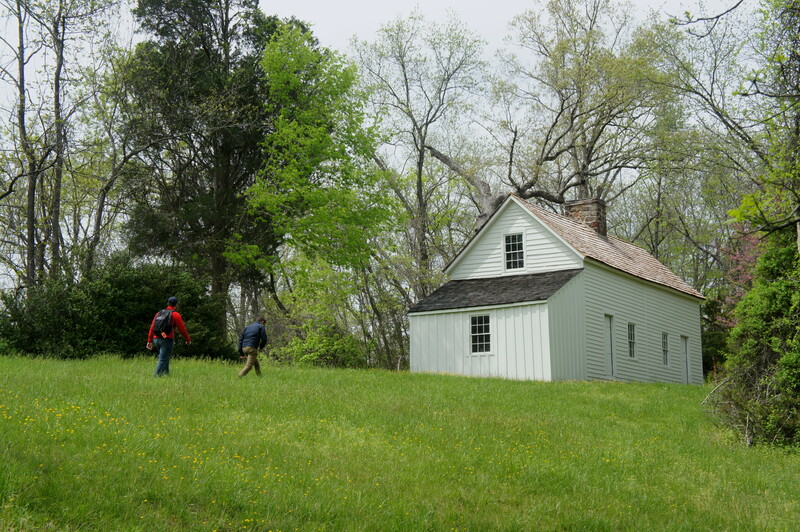 Allot around 45 minutes to an hour for this relatively easy and family-friendly hike through a slice of Civil War history. This entry was posted in Civil War, Easy Hikes, Manassas National Battlefield Park, Virginia and tagged Bull Run, Civil War, First Battle of Bull Run, First Battle of Manassas, historic, loop hike, Manassas, Sudley Ford, Sudley Loop Trail, Sudley Springs, Sudley Springs Ford, Thornberry House, Virginia. Bookmark the permalink.